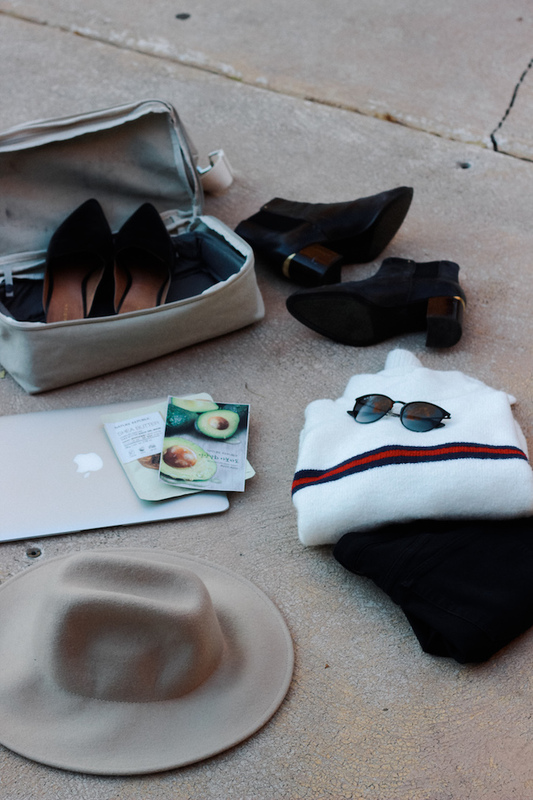 For these shorter trips, packing lightly is the one of the keys to avoiding extra stress when you have limited time. 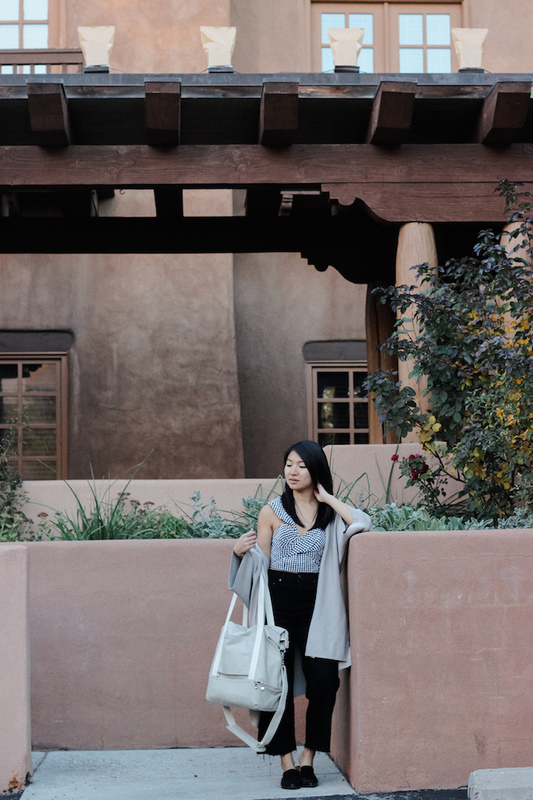 I’ve been through my fair share of travel bags, but this time I found a favorite in the Lo & Sons Catalina tote. 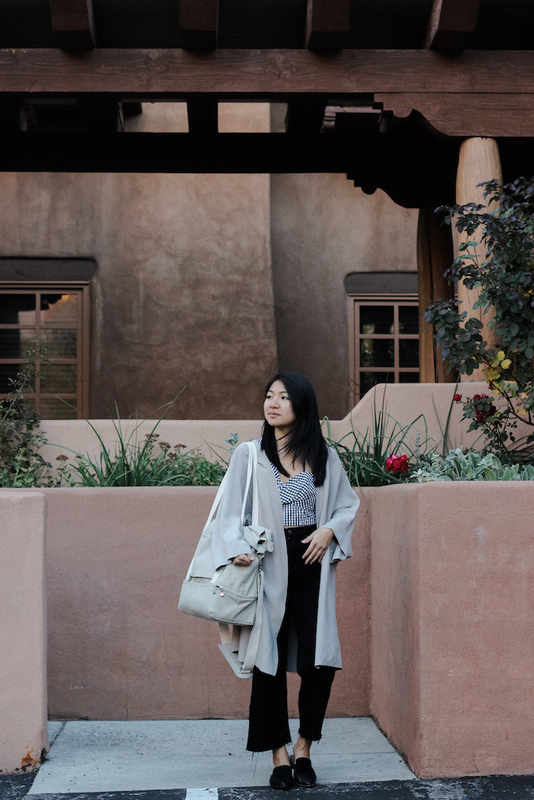 With multiple pockets including a large compartment at the base, staying organized with the Catalina is no challenge. I particularly love the exterior pocket that unzips to become an opening for your luggage handle. 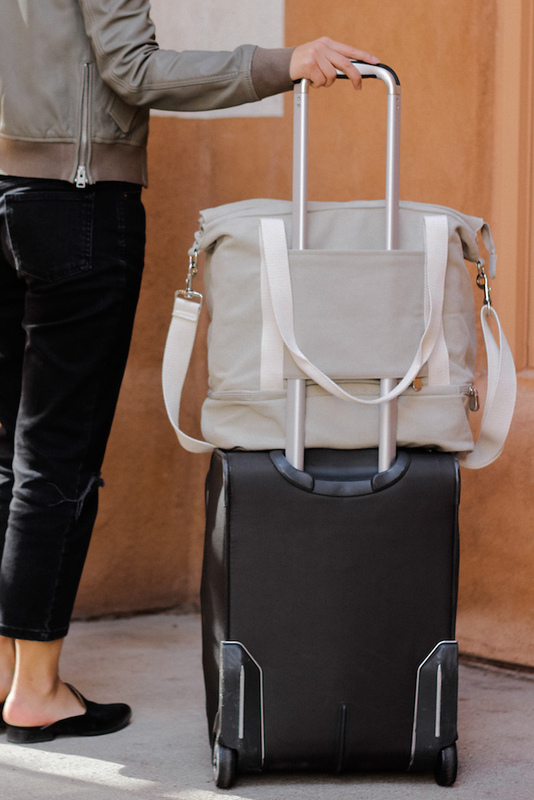 This way the struggle to find comfort with several travel bags is relieved - because we all need something to make that airport adventure a little easier. 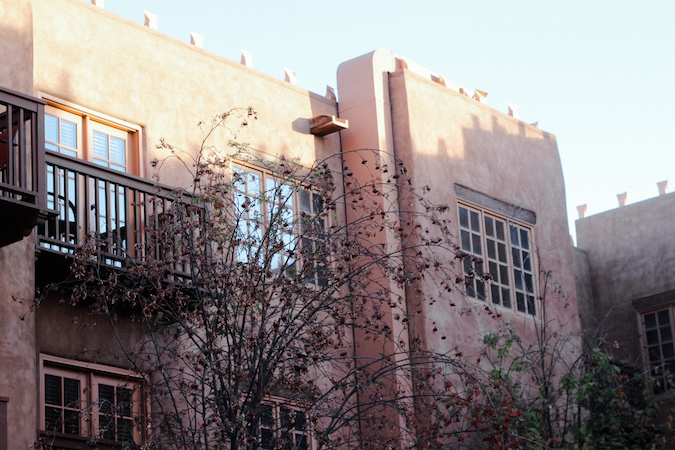 Stay tuned for a full travel diary from Santa Fe, New Mexico! Disclosure: This post is part of a collaboration with Lo & Sons. All opinions are my own. Your posts always give me a serious wanderlust. That bag is perfect for a short gateway. Your gingham top is so cute, I love gingham and I love how you paired it with the cardigan!! Gingham has been my favorite print lately! Thanks girl! Such a chic outfit Tina. I love the inner top! Ooh I actually recognized the bag as Lo & Sons! I bought the same weekender bag in green like a year ago? It's so cute in grey!! 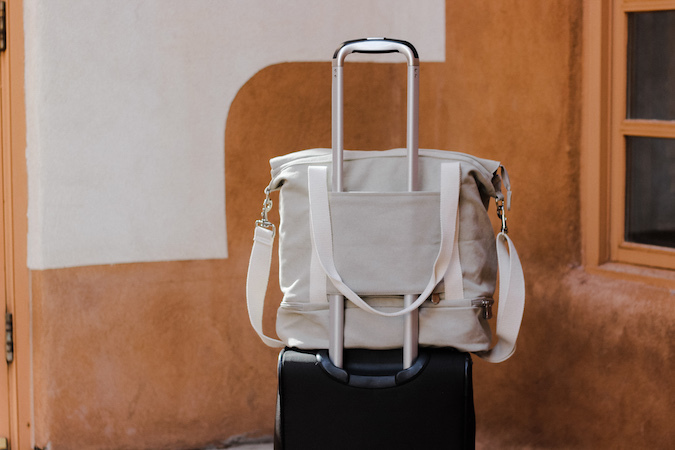 Looking for vintage stylish luggage for tour & travel? Choose your best own. I like this bag! It's big and still looks really nice.